Comment: Nice to be at a busy airport. Sunday, August 6th, Andrew, Eric, Nieman, Troy, Brad, Dennis, Martin, and Jim met at a hangar in San Luis Obispo to continue working on Orange Crush. As most of you know, it was decided the time had come to bite the bullet and recover Orange Crush. Of course, anything else we see the needs to get fixed will get fixed. My goal is at the end of the process to have a glider that will be in tip-top shape and can many more years of good service. Since its rebuild, Big Bird passed its first annual inspection with nary a discrepancy, and the only trouble I can recall have been tire issues. 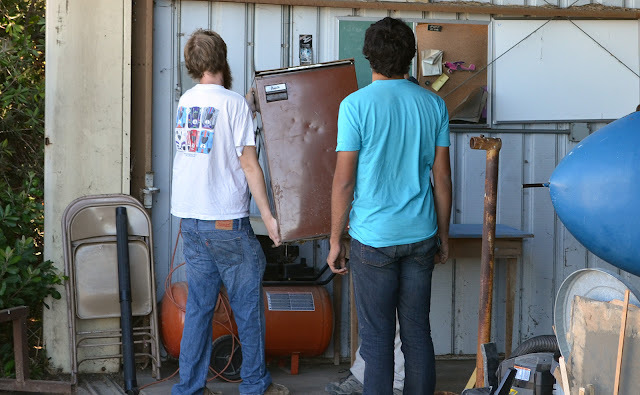 Neiman and Andrew setting a refrigerator in place. Just like Big Bird, Orange Crush is going all the way down to the tube frame. The decision was made to remove the nosebowl. Below Martin is chipping out the bondo and fiberglass to get to the rivets that hold the nosebowl onto the frame. Andrew, Dennis, and Eric are sanding on the frame. 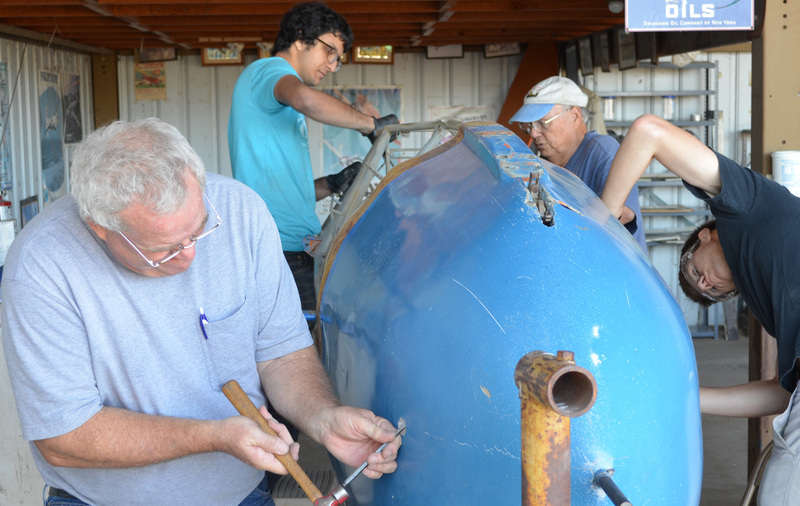 Martin, Andrew, Dennis and Eric working on the teardown of Orange Crush. 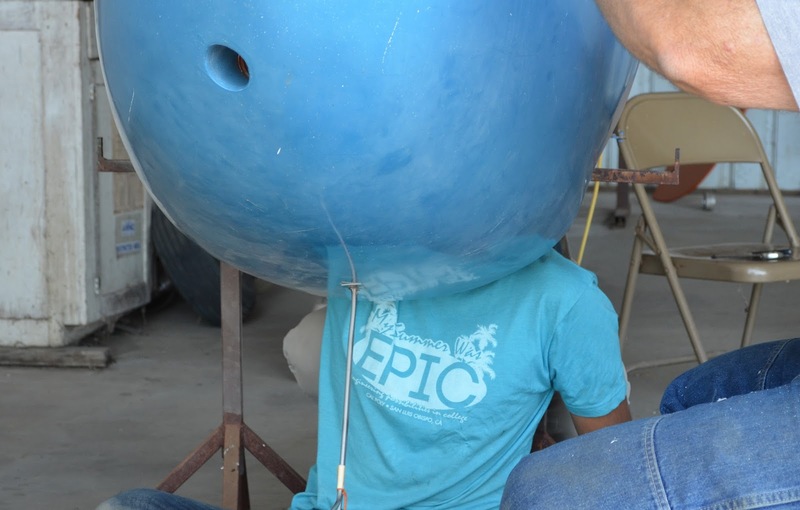 Andrew disconnecting pitot and static tubes prior to the nosebowl coming off. The aged fabric skin in the cockpit area was the reason for the rebuild. The frame was in basically pretty good condition, as expected. There was only one real surprise when it was all opened up, and that was relatively minor. Almost all moving parts will be renewed. When it comes back to CA69, the plan is to have it essentially as good as new.